Beautiful light flame Canadian maple one piece, telecaster electric guitar neck, nitro cellulose satin finish, FENDER style truss rod, 9.5" radiius. Even though the flame is not intense, it is a GREAT NECK!!! 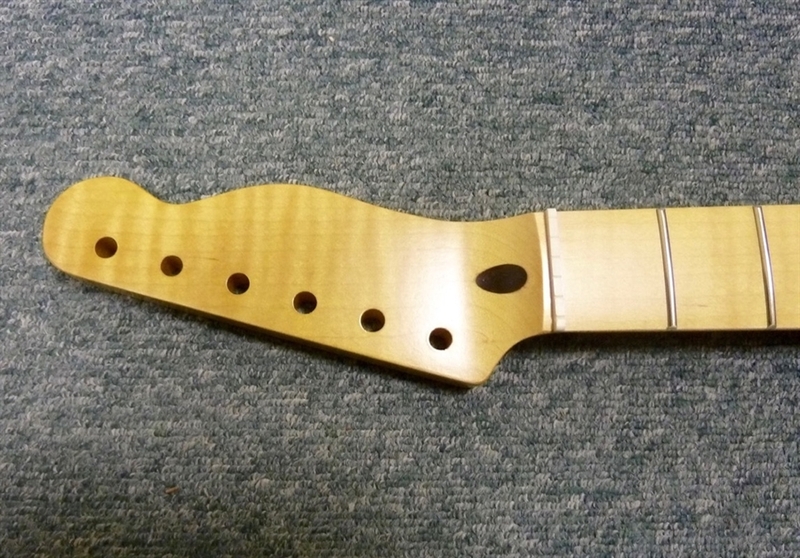 One of the best 50's replacement necks I have ever had.